Voters in Colorado, where these smokers celebrated the pro-marijuana holiday known as "420" earlier this year, are voting on legalization on Tuesday. On Tuesday, voters in three Western states are casting their ballots on an unorthodox way of raising tax revenue: marijuana legalization. Colorado, Oregon and Washington each have statewide measures to legalize cannabis for recreational use, in the hope that it stimulates the economy and fills state coffers. "Whatever state votes to legalize, they'll have become the first state to cross the legalization Rubicon anywhere in the U.S.," said Allen St. Pierre, spokesman for NORML, which advocates for the reform of marijuana laws. Analysts of the legalization issue say that Washington's Initiative 502, to legalize and regulate marijuana for people aged 21 and older, has the best chance of passing. They say it proposes a relatively heavy taxation on the drug, which might make it appealing to budget hawks. The Washington referendum calls for a 25% tax rate imposed on the product three times: when the grower sells it to the processor, when the processor sells it to the retailer, and when the retailer sells it to the customer. It's not clear exactly how much tax revenue legalization would bring in. Estimates for the Washington measure run as high as $500 million -- a figure analysts say is overstated. 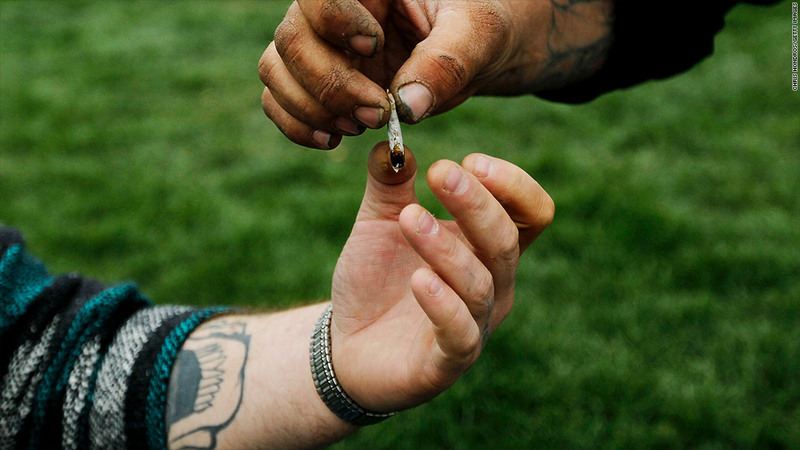 The illicit market for marijuana is $300 million, according to an estimate by Mark A.R. Kleiman, a professor of public policy at the Luskin School at the University of California in Los Angeles. Kleiman said the Washington referendum has the clearest tax structure of the three. "Washington, unless the polls are completely off, is going to pass," said Kleiman, co-author of Marijuana Legalization: What Everyone Needs to Know. Colorado's Amendment 64 is tougher to call, given poll results, say analysts, who are bearish on Oregon's Measure 80, because of the language of the referendum. They say it would provide too much power to the growers themselves in setting the rules of marijuana regulation. But even if any of the measures pass, legalization won't be smooth sailing, given the fact that federal law criminalizes marijuana. "[The feds] will do whatever they can to interfere with marijuana legalization in any state," said Jeffrey Miron, senior lecturer of economics at Harvard University and a senior fellow at the Cato Institute, where he has conducted economic studies on nationwide drug legalization. Miron said that state legalization would likely lead to federal challenges in the Supreme Court. "I think it will be a mess," he said. "I think it will be awhile before it gets sorted out." Voters in California, where medical marijuana is legal in certain cases, took up this issue in 2010. Proposition 19 could have garnered $352 million in annual tax revenue and saved $960 million in law enforcement costs, according to a Cato study that Miron co-authored. But Prop 19, which would have allowed individual cities and districts to make their own laws regarding legalization, did not pass. Voters in three other states -- Arkansas, Massachusetts and Montana -- are voting Tuesday on medical marijuana referendums.